" CB | 1 " CMG | 1 " CMG DSO | 1 " DCM | 1 " DSO | 10 DSO TD | 1 " MC | 31 " MVO | 1 "
House: No 9, 1905 - 1909. Regiment: Royal Fusiliers. Died: 23 May 1918 aged 27 in France. Died of wounds. Cemetery: St Sever Cemetery Rouen Officers B.9.4. Born 29th April 1891, Boveney, Thornlow Rd, West Norwood. Father: Edward Charles Bambridge. Mother: Kathleen Sylvia Bailey, 121 North Side, Clapham Common. Lower Shell�VI. School Prefect. Head of House. XXII Cricket; XL Football; Ledbury Cap. In the London Office of the High Commissioner for the Union of South Africa. 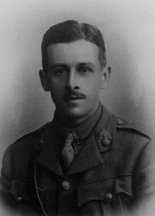 'Rupert Bambridge joined the ranks of the Royal Fusiliers, and went to France in the following July. 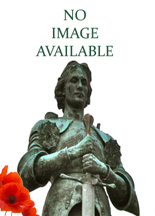 He was wounded in January 1916, and three months later commissioned. 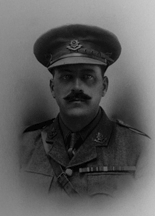 He was again wounded in the Somme battle, in which he won the M.C. To this decoration he added a Bar in the autumn of 1917. Last March he was awarded the D.S.O. for his leadership, skill, and energy in organising the counter-attack which completely established the position. Four honours are a great record, and yet an Officer in his regiment writes: "They do not do him sufficient justice." The sterner life of active service served to develop in a wider sphere the qualities which characterised him at School. His energy, fearlessness, strong sense of duty, and complete appreciation of his responsibilities as Prefect and Head of his House, will be readily recalled by those who knew him as a boy. Letters from brother officers bear witness to the same qualities. "He was the perfect type of regimental officer," writes his C.O., "brave and fearless, full of energy and zeal, loved by his men and officers. He was absolutely reliable, and I never knew him fail in any task that he was given to do. I always felt confident, when he had the job in hand, that the work would be carried out." Another officer records how on several occasions, when under a heavy bombardment, he displayed magnificent courage in looking after his men. He was the eldest of the three brothers, who won for themselves in no small degree the regard and respect of all who knew them. All three have served, and two have fallen in the service of their country'. (Malvernian, Jul 1918). Wounded right hand and right thigh 18.1.1916. Awarded the 'Military Medal'. On 19.12.1916 wounded by a piece of shell in right arm. He had recovered by 25.3.1917. 1.6.1917 Posted to 10 R F. Joined in the field. 29.6.1917 To command B Coy. 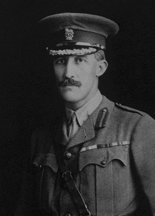 3.12.1917 Awarded Bar to Military Cross. Died of wounds received in action (Gas). Next of kin: Edward Charles Bambridge, The Elms, Merton Hall Road, Wimbledon. House: Sch, 1885 - 1888. Regiment: Welsh Guards. Died: 10 September 1916 aged 47 in France. Killed in action. Son of the late Henry and Mary Elizabeth Bromfield, Newnham Hall, Northants. b. 1869. Hertford College, Oxford; Captain 3rd South Wales Borderers; served in the South African War 1900-01, Despatches, Queen�s Medal with 3 Clasps, King�s Medal with 2 Clasps, D.S.O. ; retired 1910. 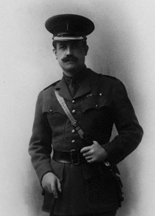 Chief Constable of Radnorshire 1909. Prince of Wales's Coy., 1st Bn. Welsh Guards. D S O. Husband of Ethel Philippa Bromfield. 'H. H. Bromfield was the eldest of four brothers, who accompanied the Rev. W. Grundy from Warwick on his appointment to the Headmastership of Malvern in 1885: of these four, only J. B. Bromfield, the second brother, now survives. 'Hal' Bromfield, as his friends called him, inherited early in life the entailed estate of Newnham Hall, Northants, but his means were not sufficient to enable him to live on his estate. 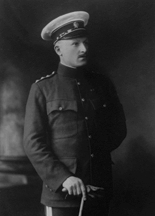 He served with distinction in the South African War, as an officer in the South Wales Borderers Militia, retiring as Captain and Hon. 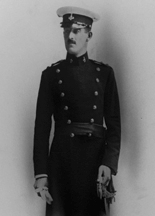 Major in 1910. In 1906 he married the eldest daughter of Sir Charles Philipps, Bt., of Picton Castle, Haverfordwest, and soon settled down to important public work in Wales. 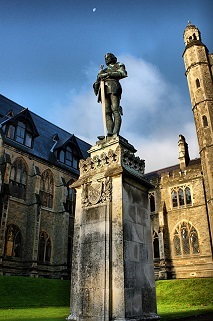 When war broke out he re-joined his old battalion, but, on the formation of the Welsh Guards, he was gazetted to the new regiment, with the rank of Major. He fell in action on September 10th, aged 47. A capable man of action, he was endowed with many personal gifts which rendered him popular both here and throughout his life.' (Malvernian, Nov 1916). Leaves a widow and a son. House: No 4, 1895 - 1898. Regiment: Royal Engineers and Sq Cmdr RFC. Died: 02 August 1917 aged 36 in United Kingdom. Accidentally killed flying. Son of G. E. A. Ross, 101 Warwick Road, Earl's Court, S.W. b. 1881. Army II�-I. Heywood Prize. School Prefect. House XI Cricket and Football. R.M.A. Woolwich; R.E. 1900; Major 1915; employed with Egyptian Army since 1911. Great War, R.F.C. Squadron Commander (overseas). D.S.O. with Bar, Order of the Nile and Bar, Despatches (2). 'To the number of distinguished Malvernians, serving in the old Army, who have fallen, must be added the name of Arthur Ross, who was accidentally killed while flying, in an Eastern County, on August 2nd. He entered the School with a House Scholarship in Classics, in which his aptitudes were such that a Classical Scholarship at the University could have been safely predicted for him. 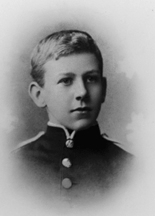 However, he decided to make the Army his profession, and obtained second place in the examination for Woolwich with unusually high marks in mathematics. His quickness of apprehension, intense keenness, and power of work rendered him one of the most distinguished�as his strong and independent character, his sympathy and gift of humour made him one of the most influential and popular boys of his time. The following account of his military career is taken from The Times: "He obtained a commission in the R.E. in May, 1900, and went to India the next year, but owing to a severe illness was invalided home and placed on half-pay for six months, during which time he studied Arabic. Returning to India in 1906, he did good service, mainly on military works in the Punjab. 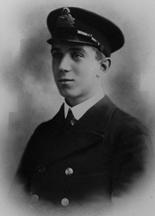 In 1910 he became Captain, and in January, 1911, he was seconded for service in the Egyptian Army. On the outbreak of the war he reverted to the British Army and served in the Sinai desert. 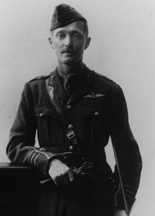 In 1915 he served with the Flying Corps as an observer in the campaign against the Senussi Arabs. In that year he was given his brevet majority and the Order of the Nile (4th Class), and in the following year the D. S.O. Having qualified as a pilot at home, he returned to Egypt as flight commander, and served there up to the Spring of this year. On promotion to squadron commander he came to England, and after some work in France and elsewhere he was sent towards the end of last month to one of the eastern counties. His services were further recognised by the award, just announced, of a bar to the D.S.O. Major Ross excelled as a linguist in Eastern languages, and as a mathematician."' (Malvernian, Nov 1917). House: Day, 1889 - 1890. Regiment: Army Service Corps. Died: 29 May 1917 aged 40 in Eygpt. Accidentally drowned in White Nile. Son of Rev H G Thwaites, Limber Magna. b. 1877. Army Service Corps 1901; Major 1914; South African War 1902, Queen�s Medal with Clasps. Great War, with Egyptian Army 1915�17; D.S.O., Despatches.